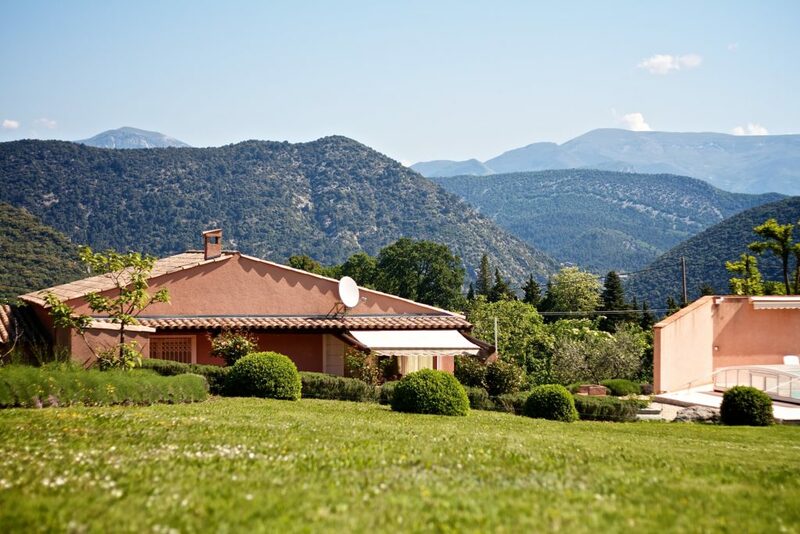 The Domain Nyons Saint-Rimbert is a beautiful 3 hectares park on the hills over Nyons, where you will be comfortably accommodated in three independent and fully equipped villas, each with its outdoor terrace. 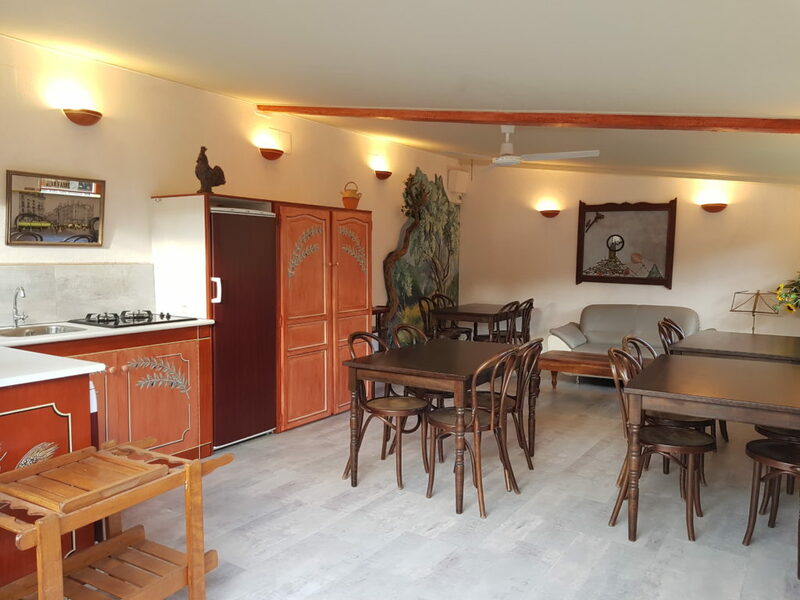 If you come as a group, you can also get together in the heart of the park, in a large living room with kitchen and dining room, and share, inside or outside, barbecues or meals prepared together. 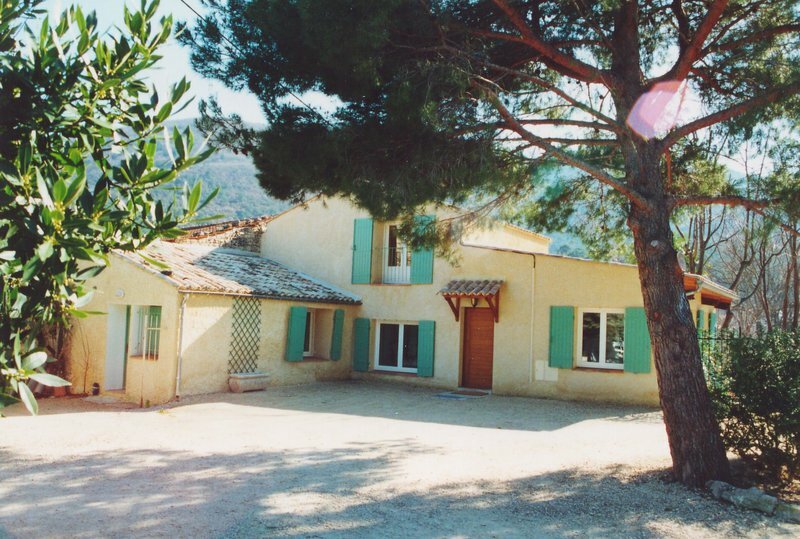 A 80 m2 house near the pool with 2 bedrooms, for 4 people. A beautiful living space with an open kitchen. A large terrace facing the mountain. 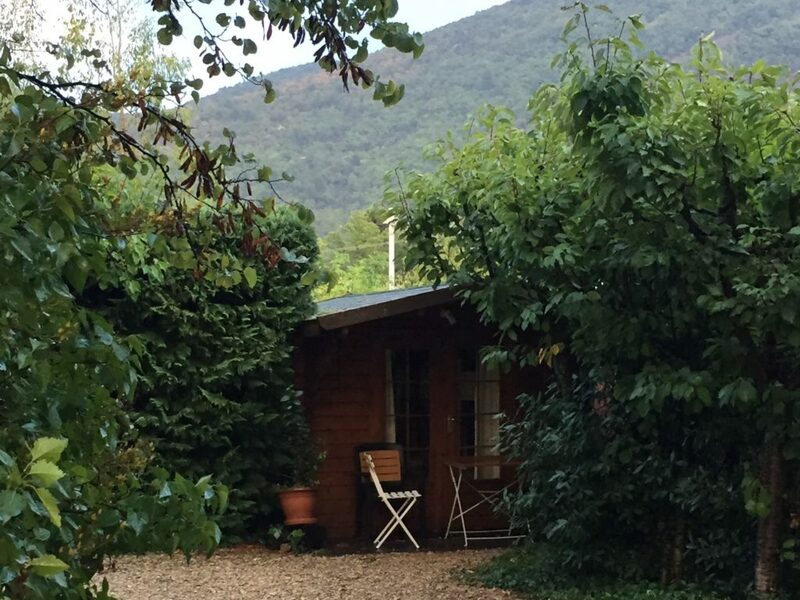 A 120 m2 house in the heart of the Park, with 2 bedrooms, for 4 to 6 people. A large living space with an open kitchen. One bedroom on the ground floor, another bedroom with bathroom upstairs. A 60 m2 house with one room for 2 people. The Cherry Pavilion, next door, can accommodate 2 additional people. La Cuisine d'été (Summer Kitchen) is perfect to meet all together when you come as a group! A large 30 m2 room with a terrace with tables and chairs for all, a full kitchen and crockery for 20 people. It is the ideal place to organize culinary workshops or prepare some delights for a great team! An extra bedroom for 2 people, all in wood and well hidden under the trees.